I wrote on Tuesday that I feel like all I do these days is wait. 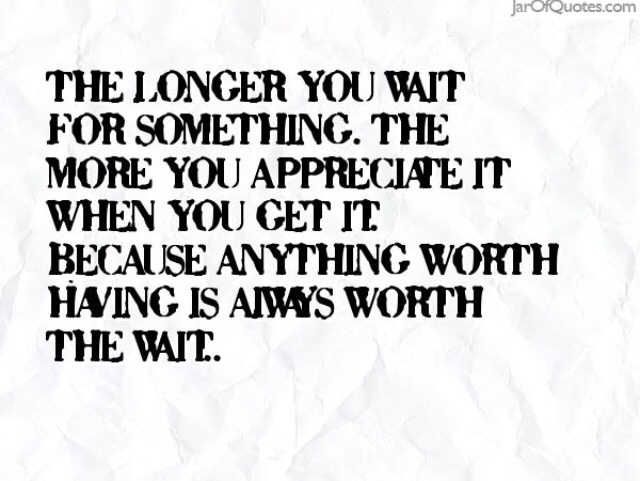 The worst part about waiting is the obvious part, because let's be honest who enjoys waiting for things? (Well I guess that does depend on what exactly is being waited on and if you happen to excel in the area of patience). For me (since we all know patience isn't exactly my thing) waiting just builds anticipation and potential hope and the outcome isn't always what I personally intended it to be. However, It is always extra spectacular when all of the waiting I have done turns out to be beyond worth it! As we continue counting Sonzee's amazing seizure free streak (she is currently 20 days and 7 hours in case you were wondering) we have been privy to witnessing some amazing accomplishments that I was unsure she would add to her personal list. Her head control is amazing, she can sit supported (when she wants) for a large amount of time, she only arches her back when she wants to be "all done", she absolutely loves her sensory box, and my most favorite addition is she is able to have and enjoy an actual bathtime experience. Had you asked me a couple of weeks ago I would have said "we need to really pursue a bathtime chair that reclines because she is definitely way too big for the infant tub she has been using (yes, we have been bathing her in the infant tub we have used for all the kids...yes she still fit...but not for too much longer). Last night I was so eager to get her in the tub. I was worried that my timing would be off and we wouldn't have a happy bear on or hands. In between painting my oldests bedroom and getting the kids to sleep I decided it was the only time to perform my little experiment. I took little bear and as I filled up the tub I placed the light up toys and bubbles in the water. I placed her in her seat and held my breath. Then the stars aligned. Not only did her experience exceed my expectations, I was so appreciative that everything worked out beyond my wildest dreams. There was nothing better than that 6 1/2 minutes where she focused on the toys, tried to grab them, and sat herself up in the chair!! These are the moments that make the waiting bearable and WORTH EVERY CHALLENGING MOMENT UP TO THEM. So now I dare myself to look forward to the moment Sonzee sits by herself without support because I know when that moment happens I better have a box of tissues nearby.